Sinks Canyon is unique in many ways. One of the most interesting things about the canyon is the diversity of habitats between the canyon walls. 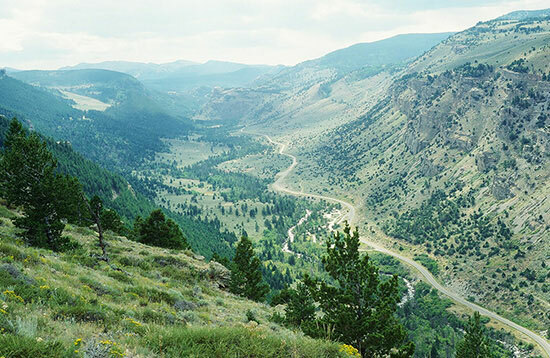 In a few yards you can go from a dry sagebrush-bitterbrush slope to a wet, lush riparian zone, then into dense stands of conifer trees. The many habitats allow visitors to experience a rich variety of plants, birds and animals. Mammals from large predators like Mountain Lions to tiny Meadow Voles live in the canyon. Hummingbirds to Golden Eagles and Ravens can be seen, and the plant life creates a rich ecosystem. Micro-habitats abound and range from aspen groves to bogs, sheer rock faces and cottonwoods stands. Often species will overlap into multiple habitats since they are so close.